his hair-style is so cool! great character! final fantasy rocks! I love his eyes!, hes so hhhoooootttt i swear! 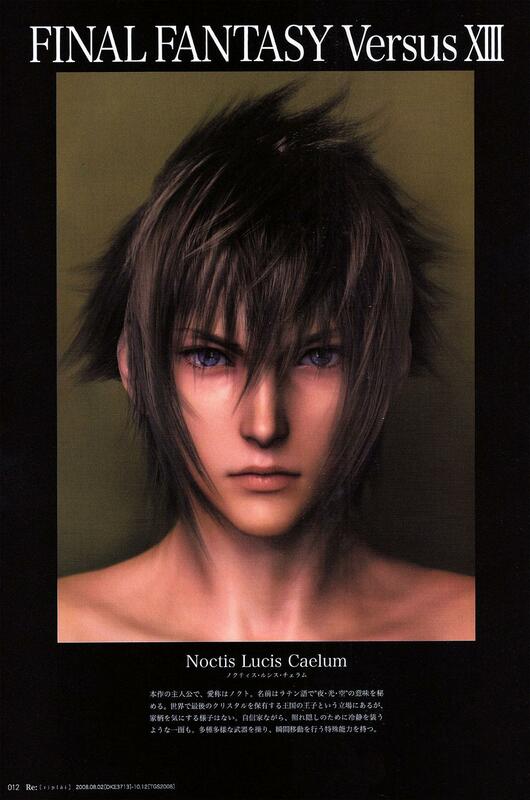 I love Noctis! So cool...can't wait for the game! Luv this picture! = ) He is hott && has gorgeous eyes! CANT WAIT! =^.^= *FAVORITED*? So handsome~! Somehow he kinda reminded me of Cloud...with the hair. Lolz. Love it~! This boy is wonderful, thanks for sharing. IS HE NAKED? OMG WOW lol anyways thannks for sharing! Wow, hes such a badass. Thanks for the scan and, keep up the great work =D. Can't wait for the game !